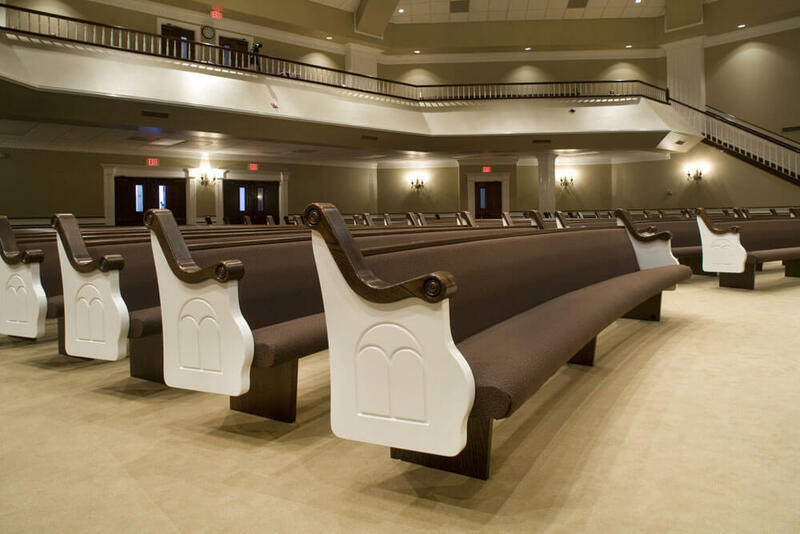 COLLEGEDALE, Tenn.--- Tensions are running at an all-time high at Strident Lane Adventist Church as a lawsuit over the disputed rights to a popular church pew, comes to a boil. At the center of the lawsuit is the Miefurst family claiming that after decades of consistently sitting in the pew (front row, right of the center aisle) every Sabbath, they should control its seating rights. The Miefurst are well-known for asking people that sit in their section of the pew, to find somewhere else to enjoy the service. They also have a habit of bringing ornately-designed "Reserved" signs and placing them on unoccupied parts of the pew so things don't get too squeezed on busy Sabbath mornings. Despite multiple requests by the Church Board for the Miefurst's to relax their pew policies, the high-tithing clan has remained unbowed in its determination to exclusively populate their pew. To defend their interests, the Miefurst's are suing the Church Board as well as a list of church members who, over the years, have had the gall to wander into their protected pew. No monetary damages are sought, just a printed bulletin statement, signed by the defendants, acknowledging Miefurst rights to the pew and a new church policy guaranteeing them their favorite parking lot spots. In the SDA church seating pecking order, seniority rules. Nobody sits in my seat unless I am absent or have another assignment for Sabbath. If someone is in my pew section, I just go down to the kitchen and have a few Little Debbie and some juice. May be satire but there lot of people like that .. every where ..church included ..